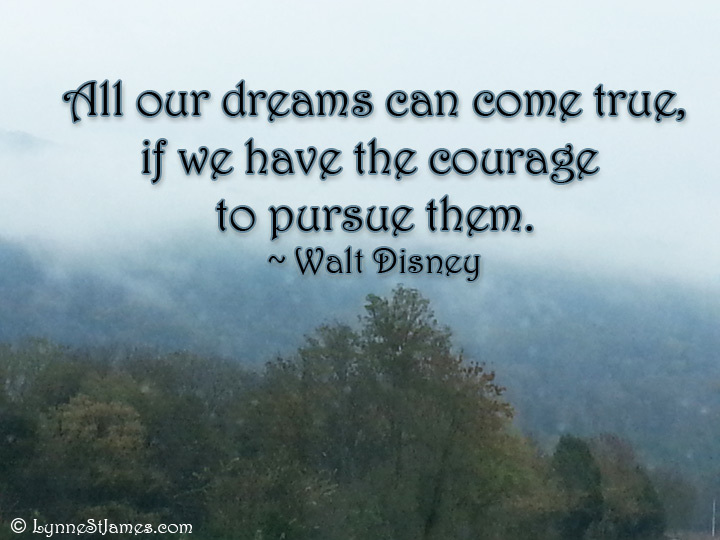 I love this quote from Walt Disney for this week’s Monday Quotes. I took this picture in October while driving through the mountains outside of Chatanooga, Tennessee. It was a dreary day, but I thought this image was haunting and beautiful and seemed to have a dreamy quality that fit well with today’s quote. I hope this is the start of a wonderful week for everyone and I wish you all the courage to pursue your dreams!